So You Want To Shoot On iPhone? Sometimes, our clients ask us if they can send us footage shot an iPhone. Don't get the wrong end of the stick here, iPhone's don't do as well as using a proper camera and skilled professionals but sometimes it’s all they can get us. 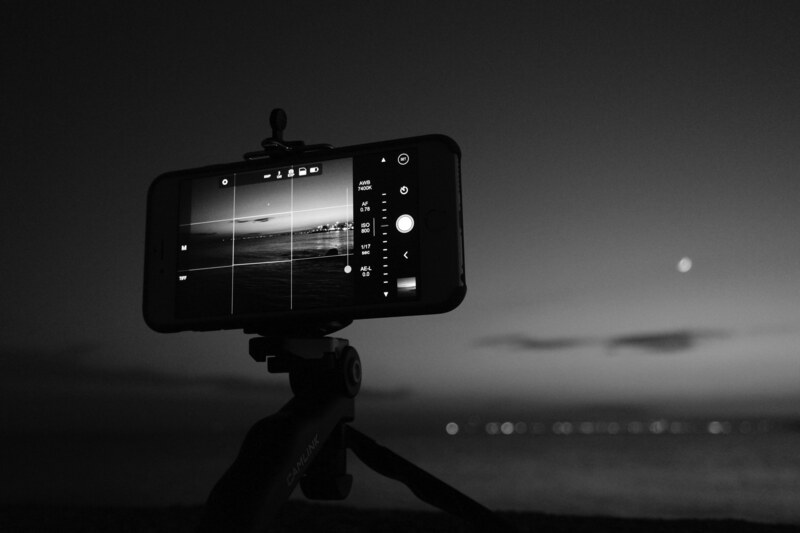 If you find yourselves needing to shoot content on an iPhone here are some handy pointers of the best way to make use of this fairly good imaging tool! Choose an iPhone with a lot of free space, the last thing you want is half way through your interview, it running out! Make sure the lens is clean and not in a case, a microfiber cloth for glasses cleaning does a great job at getting rid of any dirt! Open your iPhone Video app, this will be the tool for the job! When it comes to the tripod itself, we are able to courier one over to you which will work easily with this if you do not have access yourselves. Try not to have anything too distracting in the back ground of shot, for ease of execution, have a static scene and make sure it’s not brighter than the subject you are filming. You want to want to make sure you can see the face of your interviewee. If you touch and hold on your interviewee’s face on the iPhone camera app before you start recording, it will expose your shot and lock focus. Make sure your interviewee is comfortable with their position and location, brief them before with what you are looking to shoot and the types of answer you are looking to get. It might be worthwhile asking them to have a little practice by themselves before hand, especially if they are not used to public speaking or being on camera. Before delivering their piece, it’s good to ask them to take a little breath before firing into their answer, this lets them collect their thoughts and allows for much easier editing afterwards. When they have finished the answer ask them to hold their gaze for a second so we can have a good edit point to work with and don’t jump straight in with the congratulations. Let another beat go before giving them a well-earned pat on the back! If your interviewee has to step out of the room for a minute, make sure you get them back to where they were, it doesn’t need to be exact but having them in a different place can throw off how the edit will seem cut together. The last thing you want is to get the files over and find you didn’t get what you needed. Use the phone to review the shots there on set. So you have made it to the end of your shoot! Well done! You need to transfer the files over to us. You won’t be able to do this on the phone easily, best to plug it into the computer the iPhone is paired with and grab them from the device. If you have had any “Bad takes” try to exclude these as it will slow down the upload. Either upload them to a Dropbox (or similar) and send us a link to download them. Alternatively, you can pop a USB stick in the post with the material on it. Always keep a copy at your end as well! If you have any questions about this document feel free to contact us and we would be happy to talk you through it further.